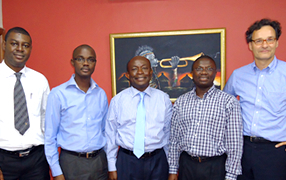 Oasis Capital Ghana is a growth and venture capital fund manager, established in Ghana in 2009. SOVEC is a cornerstone investor in Oasis. Oasis is currently managing the Ebankese Venture Fund (EVF) with a co-investment arrangement with SOVEC. EVF has USD 13 million under management and is currently more than 50% invested in six companies. Oasis has a team of 9 professionals, based in Accra. Oasis has recently closed it’s second fund Oasis Africa Fund (OAF) that is active in Ghana and Cote d’Ivoire and has been capitalised with USD 50 million. With its entrepreneurial approach, Oasis has solidly picked the growth momentum in Ghana to source, make and manage investments and is currently preparing the exit of it’s EVF portfolio.